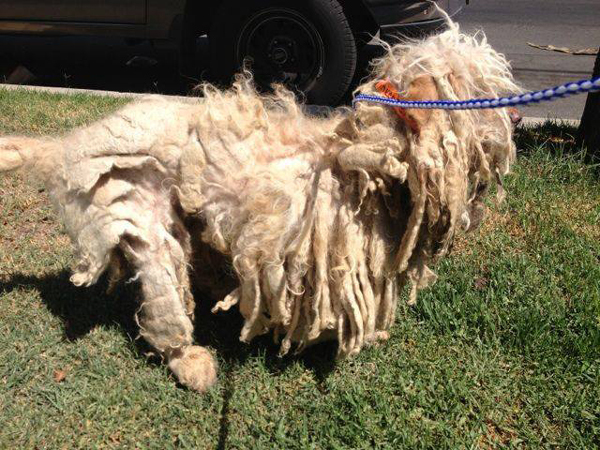 One of the two dogs rescued from the Lancaster, Calif. shelter on July 14th couldn't even wag his tail when he was rescued. 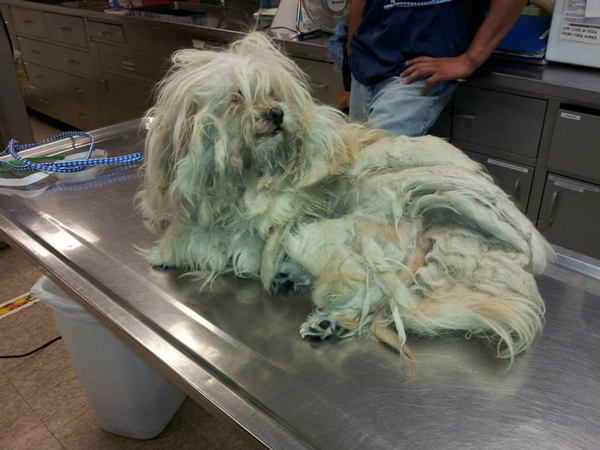 "His fur was so severely matted, his tail was stuck to one side. He couldn't even move it," said Toby Wisneski, founder of Leave No Paws Behind, a dog rescue organization based in Los Angeles. According to Lancaster Animal Control, Sgt. Rachel Montez-Kemp, Major Case Unit investigator, has launched a criminal investigation. 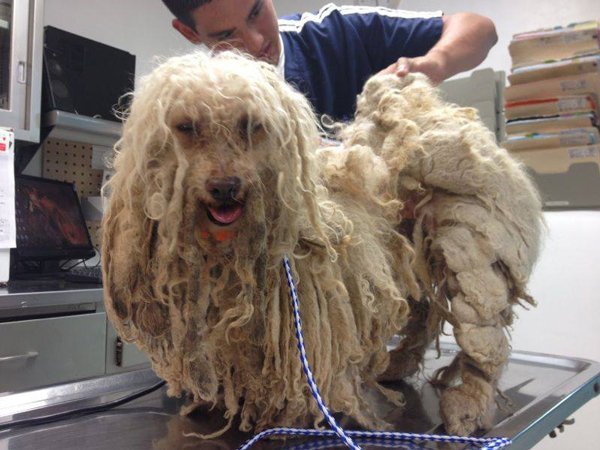 Lancaster, a charter city in Los Angeles County, is well known to animal protection groups for having dozens of unlicensed puppy mills, hoarders and backyard breeders. The city does not investigate dog dealers who apply for kennel licenses. Land is inexpensive in the Antelope Valley and there are more restrictions on buying a scooter than a kennel license. Anyone can buy breeding dogs at auction (some go for as low as $10), open a puppy selling business and sell directly to the public via Internet. Under current law, these "sell direct to the public" dog-dealing businesses exploit a legal loophole and are not subject to any state inspection program. There is no oversight to stop animal abusers from posing as "responsible breeders" on the Internet. With winter temperatures dipping below freezing and summer temperatures soaring up to 114 degrees, breeding dogs suffer year-long in wire cages with no protection from the elements. The Antelope Valley's backyard breeders, hoarders and dog dealers have been on the radar of The Companion Animal Protection Society for a decade. The Lancaster shelter is overcrowded with unwanted animals and the department is forced to euthanize thousands of animals for space. The situation is so dire, CAPS plans to petition the city of Lancaster for a spay /neuter ordinance and cap on the number of intact animals individuals are allowed to have. An apparent administrative mix-up turned out to be a stroke of luck for the pair -- a male and a female. "The officer said those dogs were never to be released," said Toby Wisneski of Leave No Paws Behind. "They were to be held as evidence. She told me to provide her with the results of an initial exam before they were shaved, and then a full vet exam after they were shaved." The female's fur was full of excrement. "She was covered in urine burns," said Wisneski. "The officer asked me to look at their feet. Their feet? I can't even find their feet!" Dr. Hart, the veterinarian who examined the dogs, said they are underweight, undernourished and been confined their entire lives. 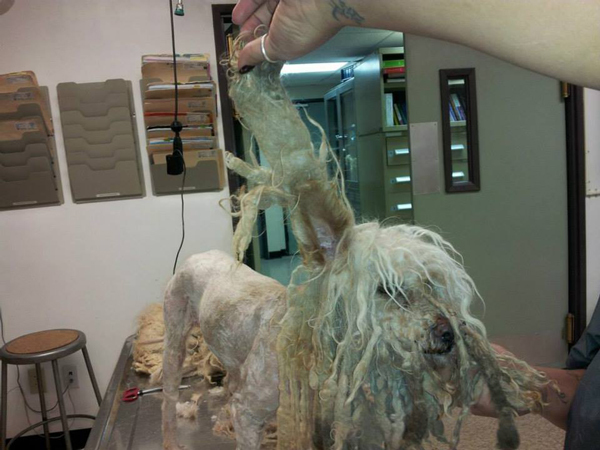 She claimed it would take about two years for a dog to get to that kind of condition. 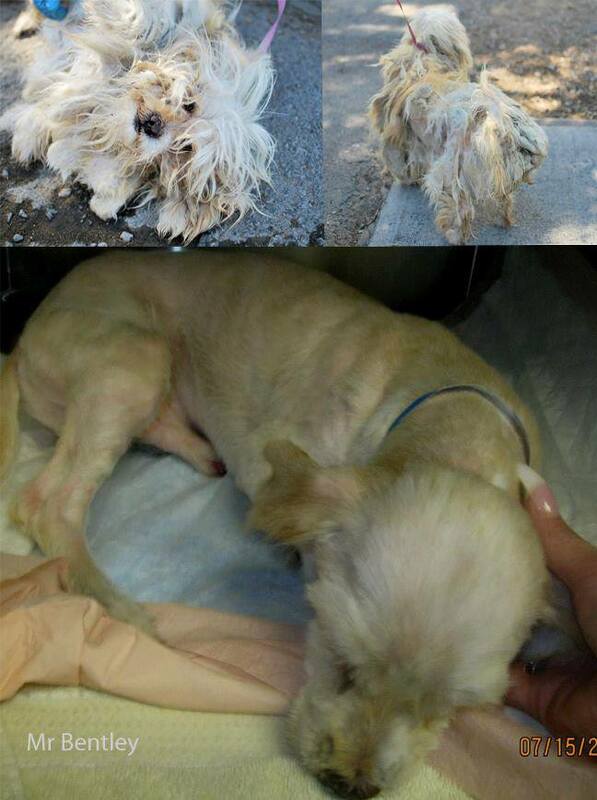 The dogs do not appear to be from a puppy mill as the female had been spayed. But questions remain about how many other animals might be similarly mistreated at the owner's property. "No one wants these animals in the shape they're in," said Ms. Wisneski. "When we recover them, that's when they want them. Nobody sees the beautiful dog underneath the injuries. No one wants them until they've been transformed. A lot of rescues don't want to take dogs that are going to have medical issues. I take them sight unseen." The dogs are said to be "very sweet" despite their ordeal. They are recovering and are currently up for adoption with Leave No Paws Behind.